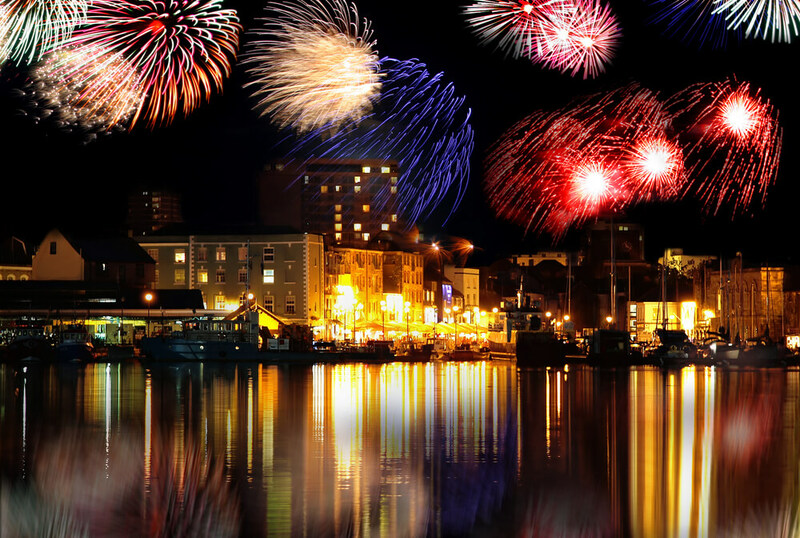 Unlike with Christmas, when it comes to celebrating New Year the emphasis doesn’t usually extend so much to including family; or at least in British culture it doesn’t so much, being an occasion where drink and merry-making are involved freely – often with friends more so than relatives. But what about if you’re parents and you inevitably have your kids with you? Not least if you’re away on a short-break with them over the New Year period? 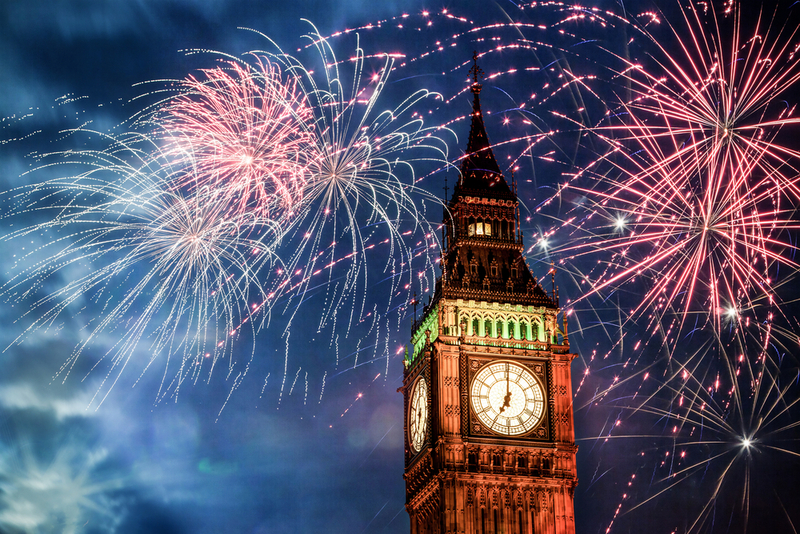 If your kids are old enough, London’s fireworks display, held on the South Bank at the London Eye and viewed from the northern Victoria Embankment (which kicks off immediately after nearby Big Ben has chimed at midnight) may well be not to be missed. Hugely popular with visitors for obvious reasons – who wouldn’t like the chance to say that they were there? – it is, it should be pointed out, extremely busy, loud and as an event, not actually that long (so there’s lots of standing around in the cold). That said, you might actually find it interesting as one of the restaurants & bars in West End London, as it draws visitors from across the globe! Note: this is now a ticketed event so be sure to snap yours up as quickly as possible. 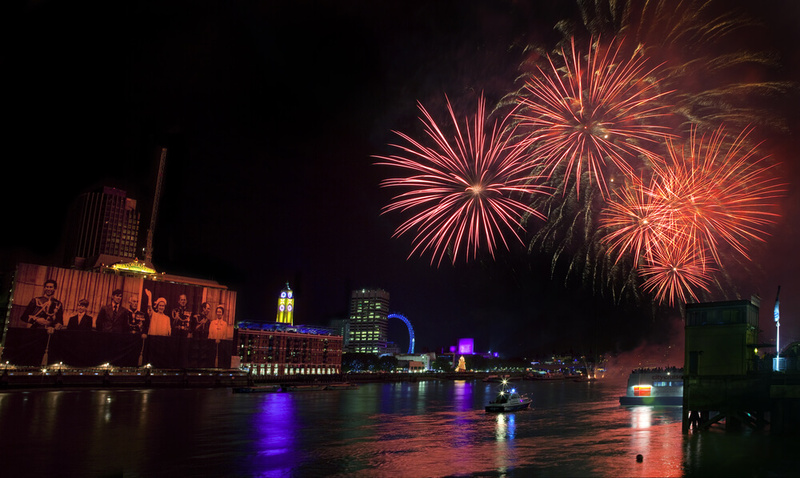 Alternatively, why not take a step up from joining the throng on Victoria Embankment by, instead, cruising down the Rivers Thames as you and yours watch the fireworks display? Yes, you can welcome in the new year with a glass of champagne, a four-course dinner and a live band. Sounds good, eh? This event’s suitable for children aged five and up and, inevitably, tickets for the even sell out incredibly fast – indeed, you might want to try London’s City Cruises company. Pantomime returns to the West End home of grand stage variety, the Palladium, in the shape of this Christmas spectacular starring comedienne Dawn French – in her panto debut. The classic fairy tale story will be laced with sparkle and packed with laughter, music, special effects and theatrical magic. 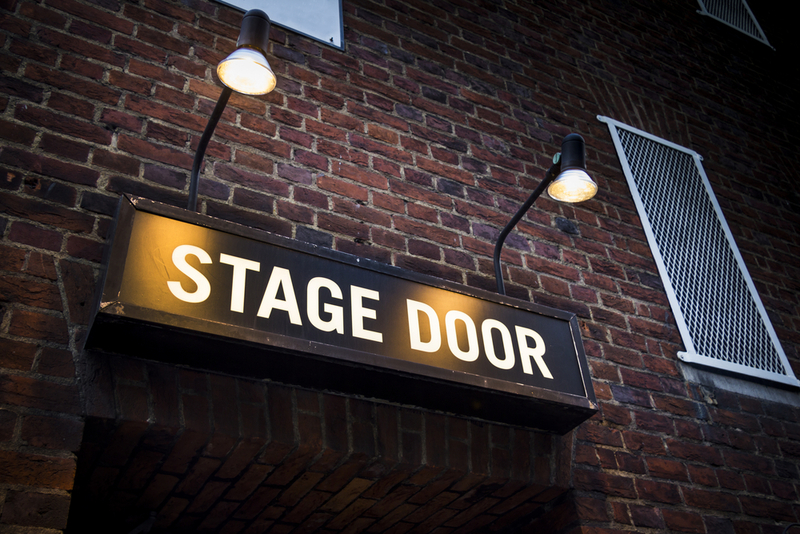 The production – perfect if you’re staying at one of the hotels near London West End theatres – runs from 8th December 2018 to 13th January 2019. 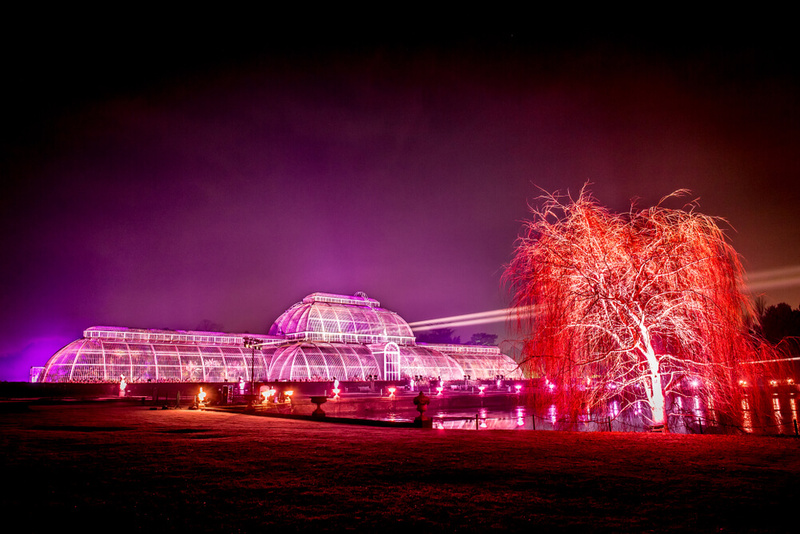 Back once more (for its sixth year, in fact), Kew’s 2018/ 19 winter trail looks set to be bigger and more impressive than ever before, comprising in excess of a million twinkling lights and thousands upon thousands of laser beams. A new feature will be the moonlit woods, as well as an unforgettable Laser Garden. 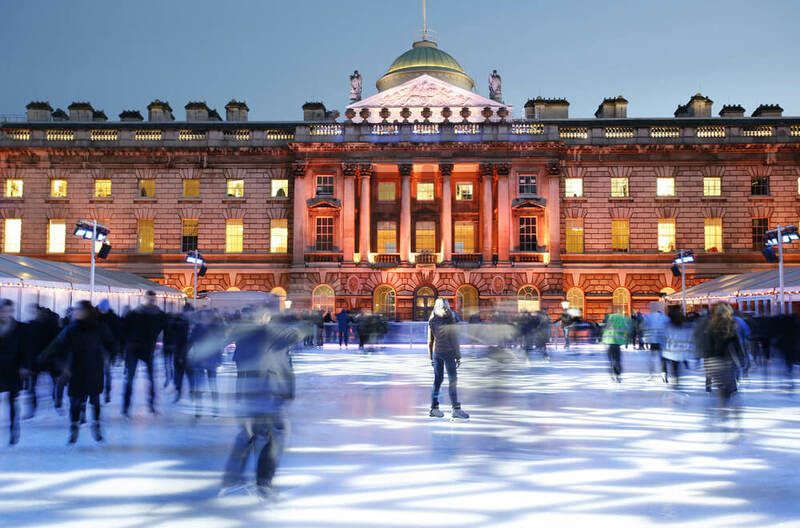 The events starts on 22nd November 2018 and will runs to 5th January 2019.
Who could resist getting their skates on with the salubrious environs of Somerset House as a backdrop? Good question – and how’s about doing that as a way to wind up the year and welcome in the next one? Extremely festive and lots of fun (you can choose between day and evening sessions), be aware that children under 12 must be accompanied by an adult. And best of all? Well, après-skate, you’ll be able to relax in Fortnum’s Lodge for a drink or snack. Who could ask for more? With the animals tucked up in bed, how about exploring a fairy tale trail around the zoo with larger-than-life wild animal sculptures rising into the night’s sky and paths that draw you through the ‘Light Vortex’ into contrasting tunnels? It looks set to be magical, indeed! The event runs from 22nd November 2018 to 1st January 2019.